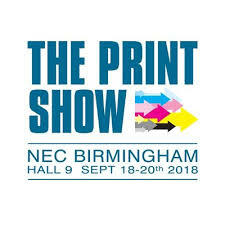 Rollem will be exhibiting at The Print Show at the NEC in Birmingham, UK from 18th to 20th September 2018 in Hall 9 on stand G10. This years’ The Print Show hosts more than 130 exhibitors showcasing the latest machinery, products and services from across the UK’s commercial print supply chain. The show will give visitors access to more than 30 specialist business coaching, sales training and technical insight sessions free of charge at the Business Seminar Theatre.